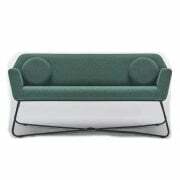 Discover a fantastic choice of retro 2 seater sofas which we have at Ultimate Contract. You will be spoilt for choice with the various designs available, all of which you can customise and receive a personal quote on from a member of our trained staff today. 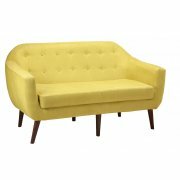 If you are looking for more sofas, take a look at our retro 3 seater sofas too for more space for guests to sit on. 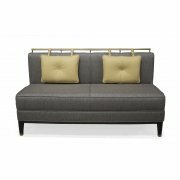 Provide a comfortable area for guests within your hotel or a waiting area in a restaurant and more with our retro furniture 2 seater sofas. 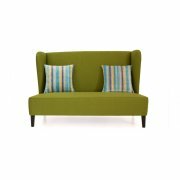 From interesting patterns and shapes to bold colour ideas and more, there is sure to be the perfect 2 seater retro sofa to fit with your design scheme. 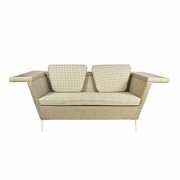 Having browsed through the choices of retro 2 seater sofas we have available at Ultimate Contract online, why not view our selection of Pedrali 2 seater sofas?